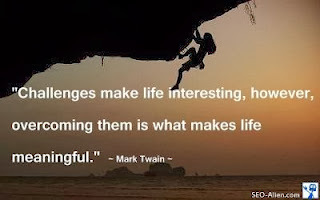 Life's far more interesting when there are a few challenges along the way--don't you think? It seems as if the things we want most in life don't ever come easy. New house, new job, new career, whatever it may be, we have to fight for what we want! This also rings true when ones fighting to lose weight. There's no magic pill. There's no special powder to sprinkle over your ice cream and make the pounds stop accumulating. Let's face it folks, if weight loss was that easy, America wouldn't be number one in the world for obesity!!!! 1 out of 4 children would not be obese. If there was a magic pill, everybody would be healthy. Eating healthy does not mean starvation. You don't have to eat seaweed or run 20 miles a day and live at the gym. However, we do have to take on a few challenges, and a little discomfort, in order to have progress. Believe me, I know discomfort first hand. I understand what it's like to live as 625 pound man, struggling just to walk a short distance. I understand the pain that's involved when one attempts to move arms and legs the size of tree trunks. We all must start somewhere. Why not here--in the now? When my journey began, it required only small changes before the weight melted off me. I was dropping pounds like crazy and it was happening because I was challenging my body and mind to go places they had never been before. At least three days a week, I challenged myself to go to the gym. As each week passed, I challenged myself to lift an extra five pounds, forcing myself to work harder and pushing myself to "my" personal limits. The dreaded day did come when the weight didn't fall off as easily as before, though I worked out regularly and ate clean 90% of the time. My body is trying to outsmart me, I thought, as I realized with great fear that rather than losing weight that week, I had gained 2 pounds! What was wrong; was my lucky streak over? Was I going to stop at 420 pounds and never reach my goal (235)? Unwilling to give up, I turned to the Boss (a.k.a Thomas, my buddy and trainer at the time) and learned about something called a "Plateau". This is where our bodies, very smartly, evaluates the workout routines, and switches into some evil back-stabbing gear which helps it to work more efficiently, thus slowing down the weight loss progress. The nerve! I'd never heard of such a thing--a system smart enough to find a way to conserve energy while still accomplishing the same activity? And it didn't take a panel of big-thinkers and bean-counters, soaking up several pots of coffee, to draft up this cost cutting plan? That was some kind of craziness! No worries, Thomas had a plan geared to help me over this first bump, one that would keep my body guessing and the weight falling off. And this was when I'd first heard about an eating plan called Paleo--also known as the Caveman diet. What is this Paleo? It's a way of eating fresh foods rather than processed (boxed) items. When one is on a Paleo plan, one cannot eat any foods that come from a box or can. Only loose or freshly bagged foods, like frozen veggies, are acceptable. But that wasn't all! To beat this Plateau effect, I also had to change my workout routine. I needed to work new muscles with new weight lifting techniques, using new machines, and I switched up my cardio. I worked hard, challenging myself to do all things new and different. It wasn't easy. My body hurt and I was craving chocolate milk like crazy (I still crave CM like crazy). When my body didn't feel like doing five more minutes on the heavy ropes, I pushed all the more. This went on for a month and when I finally stepped on that scale, let me tell you, I could have done a back flip. 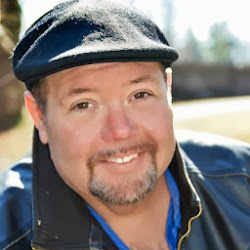 I had reached my goal of four hundred pounds, losing 20 pounds in a mere month! I've lost many more pounds since then but my struggle to reach my final goal weight (235) continues. My body has once again reached another dreaded Plateau. Each time this happens, I struggle to find yet another unique exercise -at least unique to my body--in which to outsmart my system. This journey has been on going now for two years, so, as you can imagine, it's taken some creativity, to say the least. Today, I weigh 280 pounds. Sure, that's a long way from where I started but, frustratingly, a good 50 pounds away from my goal. Time for a change, don't you think? I couldn't agree more. A few weeks ago, understanding that I needed something that incorporates both food and exercise, I set out to invite all my FaceBook friends on, not a 30 day, but a 21 Day Food Challenge. The food challenge ran from Oct 1-21, and boy, what an event that turned out to be! More than a 100 people, which included my partner in crime, Patricia (aka TL), cut out everything from sugar, soda and chips, to sweets of all kinds and pasta from their daily diet. Some took it one step further and cut out alcohol and bread completely! We were getting crazy up in here. LOL. Many came to the Team Getting My Life Back's FaceBook events page to share recipes, along with personal struggles as well as their success. We all laughed over our crazy food habits, while patting each other on the backs for extra strength to overcome them. It was a great supportive event for all of us, but the best came in the end when so many shared they'd lost between 10 and 20 pounds! WAY TO GO TEAM GMLB!!!! As I said at the start of this blog, success comes when we challenge ourselves. And there is nothing better then taking a challenge together and supporting each other through it. Sure, I have never ran in a race, as I have a bum ankle, one that makes it nearly impossible to run--but, you know what? I'm going to train hard and I will cross that finish line if I have to crawl!! And I hope do it several pounds lighter and closer to my goal weight (235). Bet you thought I was going to say "AT MY GOAL WEIGHT"? LOL. Well, nobody likes too much pressure, ya know. LOL. The best part is, we'll do this together, cheering each other right to the end. And if you have never ran before, like TL and I, no worries, there's still time for you to start the training process. Remember, it's a walk and or run race. Will this challenge be easy? NO! Will it always be fun? Probably not. But it will be a wonderful feeling when I (we) step up and win! PS-To all of those that joined me (TEAM GMLB) for the food challenge, I thank you! Thank you for your support and friendship. You all did a wonderful job and I'm so glad that so many of you found yourself pounds lighter at the end of those 21 days.